Full Reveal - Santa Baby! Santa Baby is here! Come see this beautiful new line by Frank Garcia featuring the softest cool mint and sweetest blush pink tones, kissed with a touch of shiny pink foil. See Santa Baby highlighted on Frank's gorgeous Memory Hardware album right here! Soft pink and mint are mixed perfectly with buttery yellow, then accented with foil accents and delightful festive imagery. 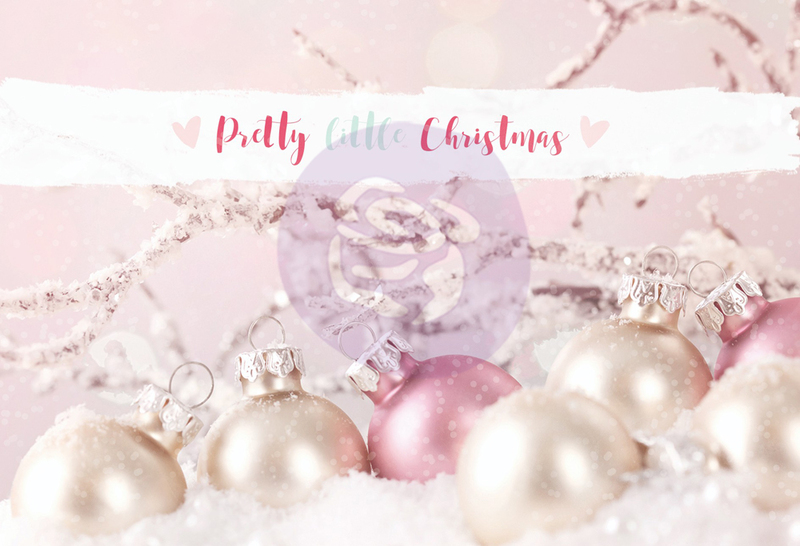 Click below to see each of the gorgeous Santa Baby 12"x12" double-sided papers with foil touches. 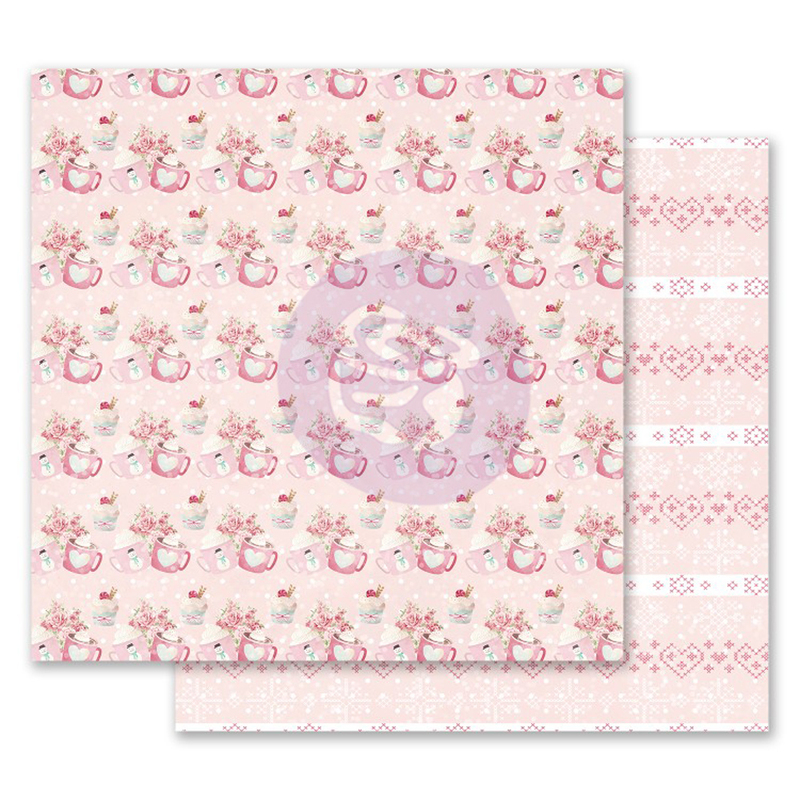 Plus the amazing Santa Baby paper pads come in a wide variety of sizes: 3"x4", 4"x6", 6"x6", 8"x8", A4, and 12"x12"! Prima's handcrafted flowers top every project off with exquisite style! Our Santa Baby flowers are truly exceptional, with fabulous seasonal touches including sparkly finishes, unique centers, and the most beautiful color palette! Click through to see each one! Come wander around in Miranda's marvelous gingerbread house! The exquisite details, from the foil striped roof to the charming bird in the window...each section of this house is simply delightful! 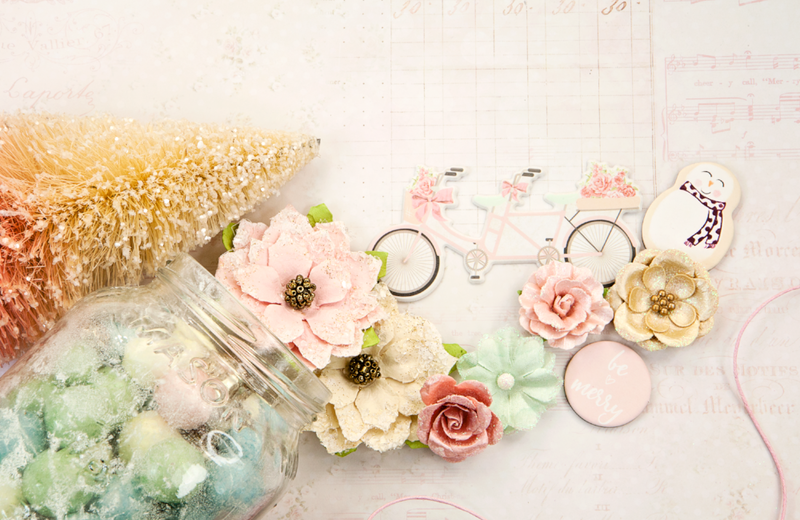 A Christmas Star by Stacey Young shows off the gorgeous ephemera and flowers from Santa Baby! Can you find the foiled candy, Christmas bird, retro Santa, and glittery hearts? Layouts are a breeze with coordinating papers and embellies! 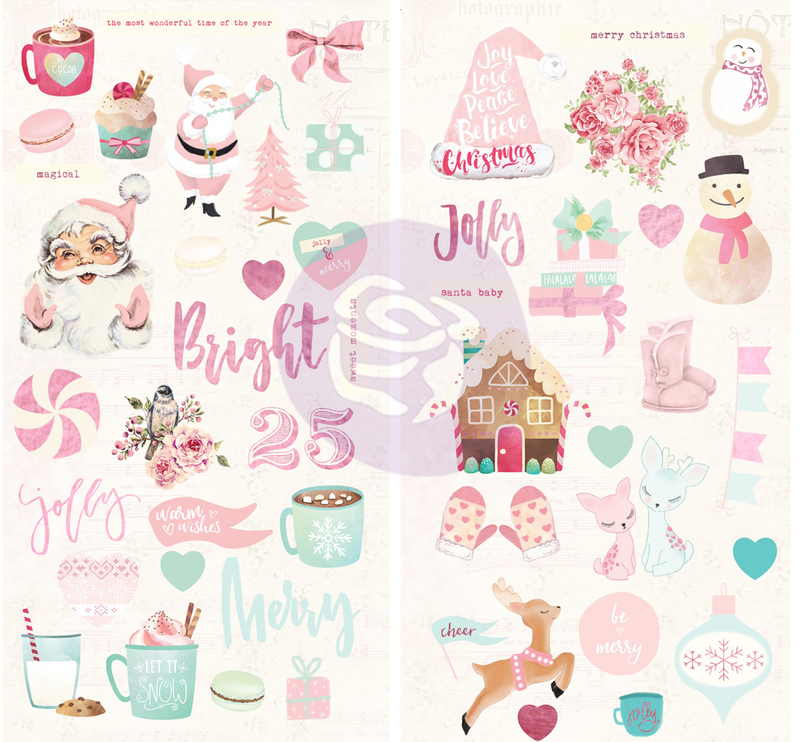 Nadya chose softer tones from the line to complete her stunning design highlighting a favorite holiday photo and surrounded by Santa Baby flowers, chipboard, and more. 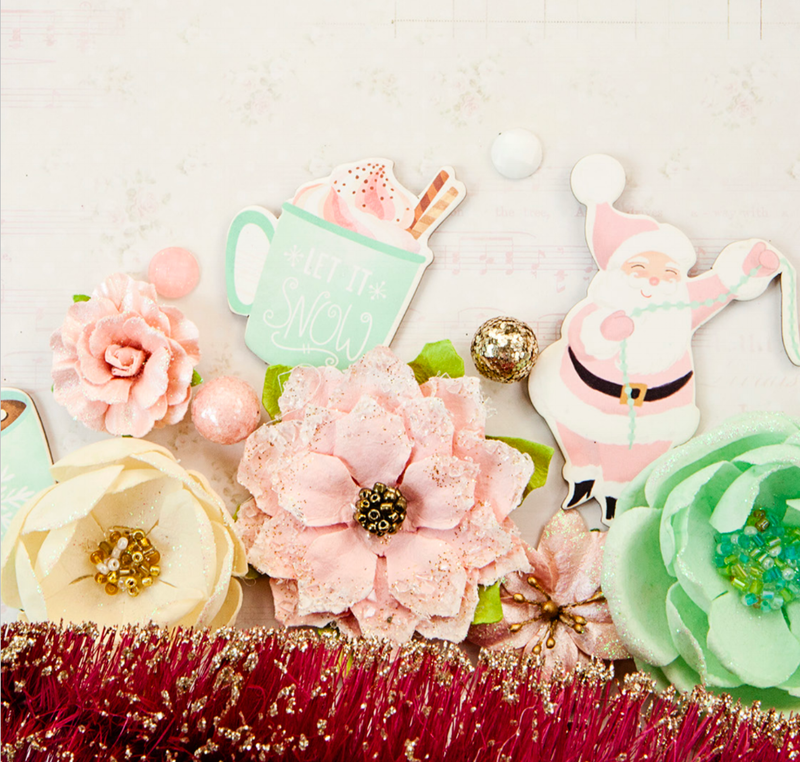 Cardmakers, get ready to create some of your most beautiful holiday cards yet with Santa Baby! 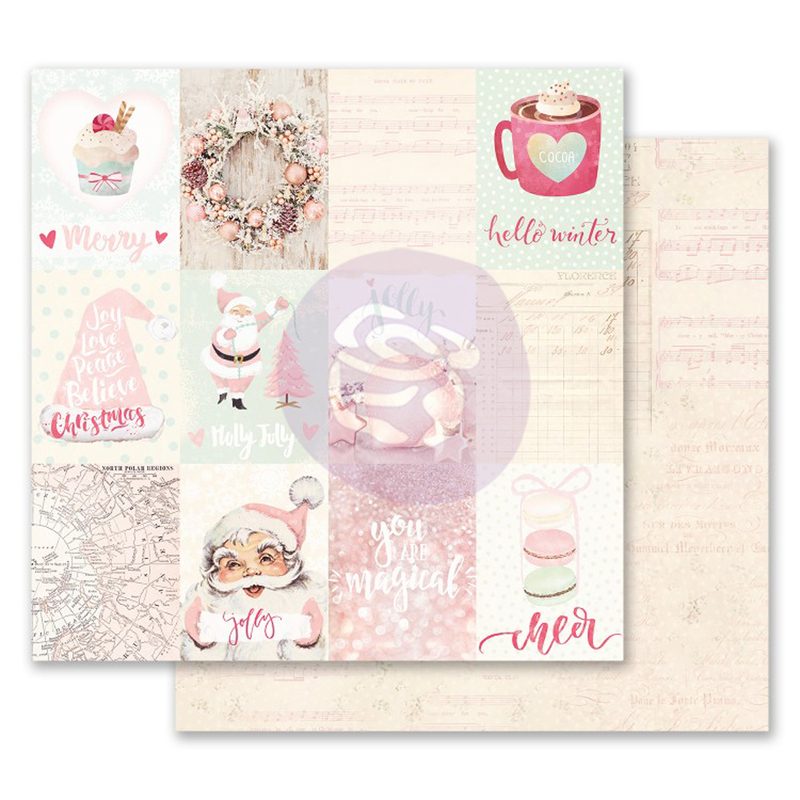 Each 12"x12" paper includes pink foil accents to add extra glamour, while ephemera and chipboard sentiments add beautiful design and detail, as you can see on Ola's gorgeous card! You know what else is perfect? 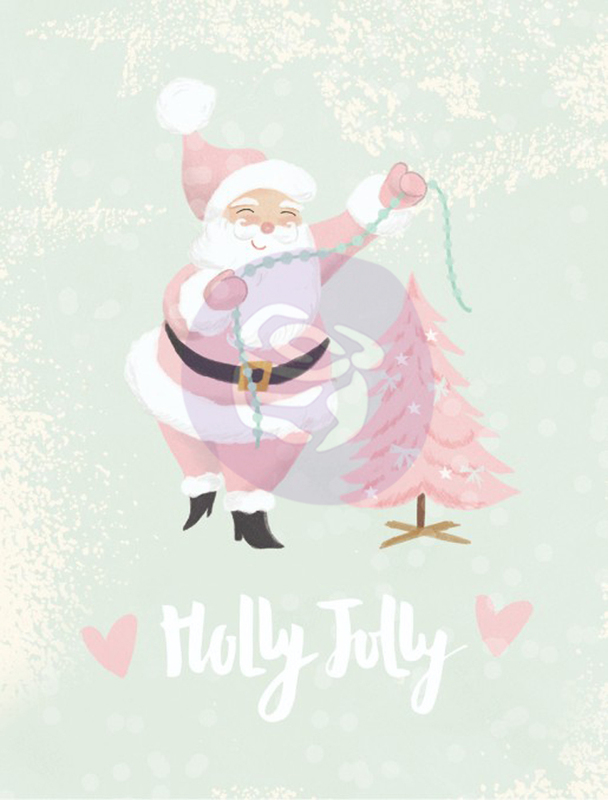 Mixing our new Santa Baby line with our new Julie Nutting stamps! 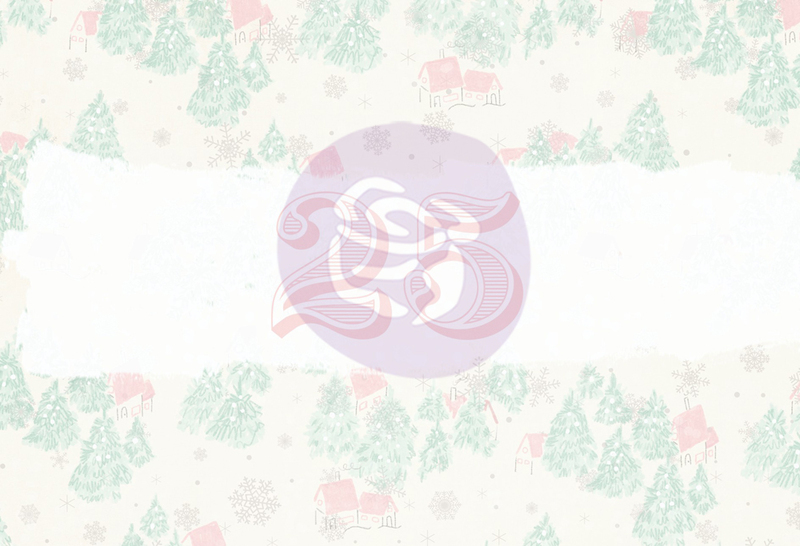 Karine paired them to create this very Merry holiday project! Santa Baby paper and chipboard pieces are perfect for layering to create a gorgeous piece to accent your decor! If you would like to get your hands on some of the new Santa Baby line then leave a comment right here + check out our social media for more chances to win! We will pick a lucky winner from all of the comments on Friday!